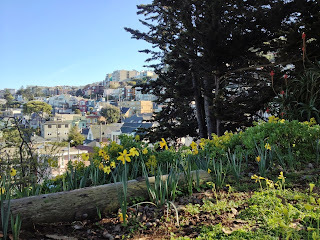 Corbett Heights Neighbors: Daffodils on Corbett Slope! 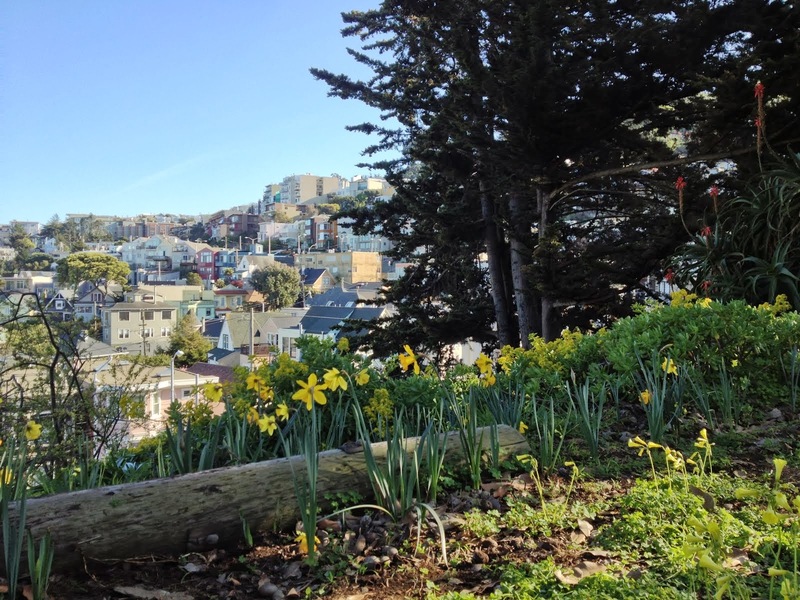 During the next week or so please check out the daffodils on the Corbett Slope. A couple of months ago we planted 400, and they're popping up all over the place! A true harbinger of Spring. By the way, this is our park. There have been a few glitches in setting up the irrigation, and in getting the required survey from the DPW engineers so that we can plan some structural improvements, but those are being resolved - however slowly. If you have any interest in being involved in any capacity (if I don't already have your name), please let me know. And - if you would like to go inside and see parts of the Slope not so visible from the street, please let me know!